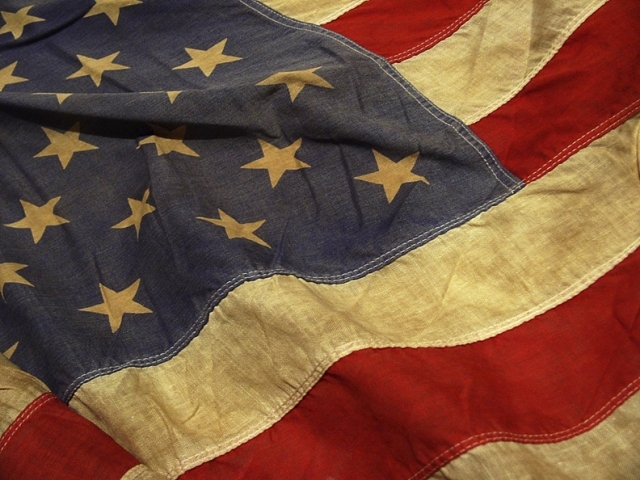 PANACEA "Old Glory" sampler. 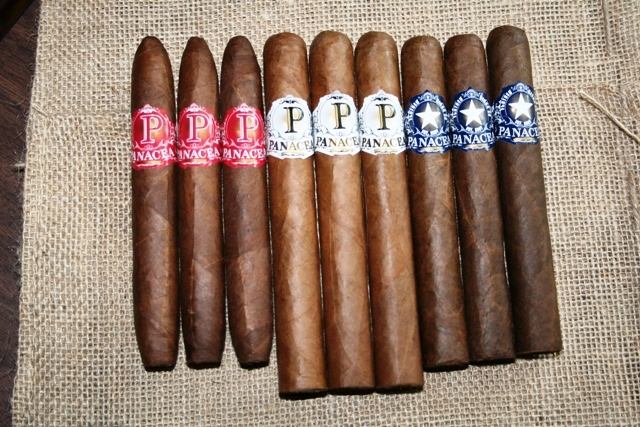 9 cigars: 3 Red Label Habano, 3 White Label Hitch-Pin, and 3 Blue Label "Azul" Cameroon. The Habano is in the Perfecto shape. An easy light, comfortable shape in a medium strength. The Corojo, also medium, is in our Hitch-Pin size. 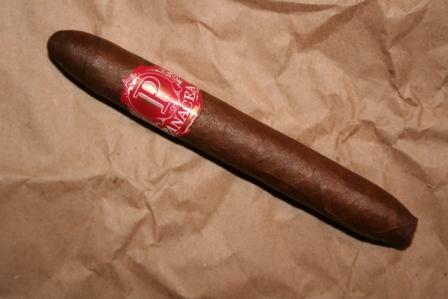 Perfect for those who like a larger size cigar, but won't push away those who enjoy a classic shape/size cigar. The Cameroon is in my favorite size...the Toro! Our Azul is a med-strong blend with the filler from Pennsylvania, Dominican Republic, and Nicaragua. All Ligeros...with a bit of Dominican Seco to keep her lit. You'll love this sampler. The Red Label Habano was great,good draw,smooth rich flavor and aroma, stayed together. The White Label was good, but they came apart. The Blue Label "Azul" Cameroon had the best flavor but they too came apart. I hope the is just a fluke.